Most people go through life living in a state of emotional childhood, blaming external circumstances for their feelings. When you combine kids who have no ability to manage their minds with parents who don't manage their own, it can spell trouble. Join me for today's episode, where I talk about the concept of emotional adulthood and why you should strive to attain it. 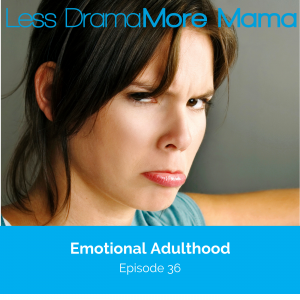 How to tell whether you're living in emotional adulthood or emotional childhood. What we're raised to believe about the cause of our feelings, and what actually causes them. Why kids need parents who don't need them. The recipe for emotional adulthood.